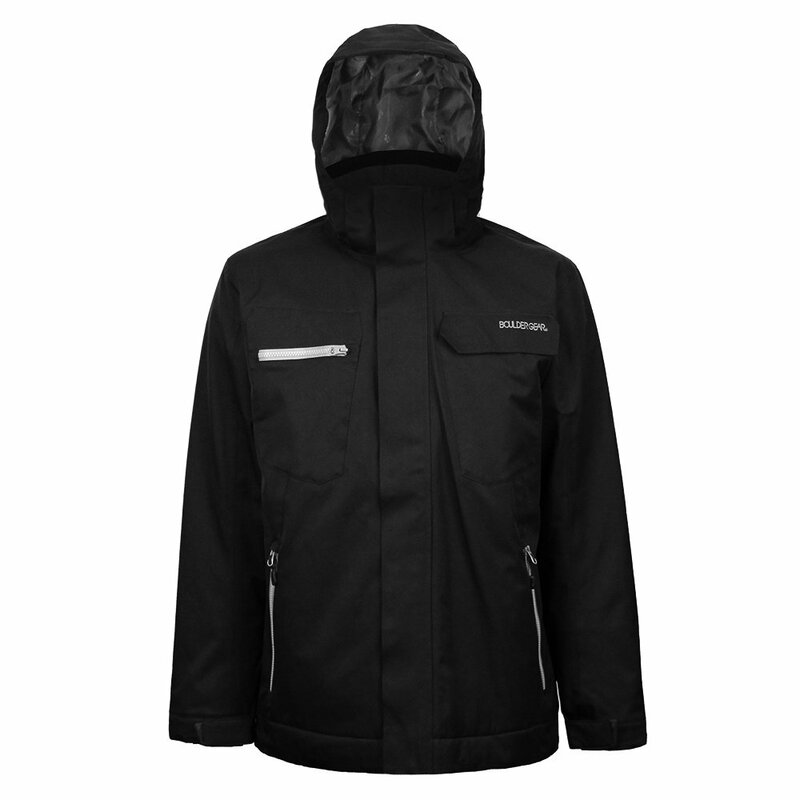 The Boulder Gear Basin Ski Jacket is an ideal choice for outdoor exploration. Stay dry with 15K Boulder Gear Tech waterproof and breathable fabric. 60g body insulation works to eliminate chill. Underarm ventilation allows the option to cool down quickly. An internal waist gaiter and storage pockets make for a practical and protected outfit. The Boulder Gear Basin jacket is meant to be your most solid option for snowy woods trekking and everyday wear. "Is the hood helmet compatible? " "Thank you for conatcting us. The Boulder Gear Basin Ski Jacket is not helmet compatible. We hope this information helps!"